Wines of Argentina, the organization responsible for the promotion of the brand Vino Argentino in the world, has just launched a specific campaign for the US market. "Vino Argentino: A Blind Tasting Story", is the title of the institution's new bet to continue and deepen the perception of Argentina as a modern country in viticulture in its main export market. WofA aims to continue its robust positioning and contribution to the current market to achieve an increase in distribution and sales of our flagship product, whose exports to the US in 2018 reached 50,732,700 liters, equivalent to USD $244,866,000. WofA is now promoting the teaser of a 10-part fiction miniseries aimed mainly at female consumers to communicate the evolution and differential attributes of Vino Argentino, seeking also to attract the attention of the press and key influencers on the market. The miniseries will premiere on YouTube and WofA’s social media channels, and the series will conclude on Valentine’s Day, coinciding with the playful theme of the campaign. 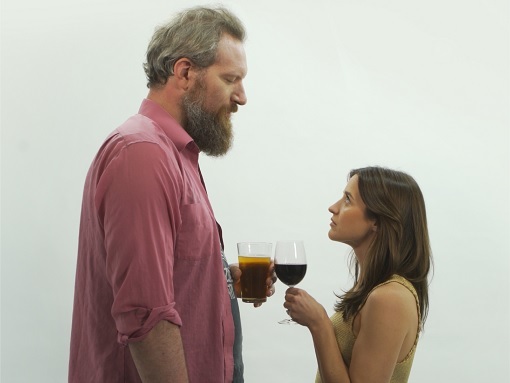 “Vino Argentino: A Blind Tasting Story", addresses the love story between two people from completely opposite worlds. Justin, a successful young craft brewer from California: a man with a unique style, very disciplined in his own mess. Restless, impetuous, impulsive and self-confident. On the other hand, there is Pilar: a prominent Argentine sommelier, she is very organized and precise. A misunderstanding, followed by a white lie, will kick things off so that together they begin a journey through the various wine-growing regions of Argentina, until they realize that, despite their differences, they have much more in common than they could have imagined. Argentine Wine will be the guiding thread of the story, reflecting the great diversity of terroirs, varieties and styles that our country has to offer, highlighting the contrast and the natural and cultural richness of Argentina. "Our intention is to focus on and talk to young women who represent a growing segment among wine consumers in the United States. It is a story that aims to break down certain prejudices, without losing sight of the ultimate goal of the campaign, which is to make Argentina and our wines attractive to US consumers," said Magdalena Pesce, Marketing & Communications Manager of Wines of Argentina. The teaser of the miniseries is now available in the following link. Find out what happens in “Vino Argentino: A Blind Tasting Story” by following the hashtags #VinoArgentino #ABlindTastingStory in addition, through WofA’s official channels:YOUTUBE, TWITTER, FACEBOOK & INSTAGRAM.